My experience with independent professionals (consultants, entrepreneurs, small business owners) is that you do what you do because you love it. You truly enjoy sharing your knowledge and expertise with those who need it. You enjoy the flexibility of being independent and not being tied to one company or organization. You really don’t mind the travel and quick changes of direction that often come with being a solo act, but let’s face it, you can also wear yourself out trying to do it all yourself. True, most independents don’t need traditional staff but they do need reliable administrative support. The kind of support that helps you always perform at your best. Researching, marketing, scheduling, writing and creating presentations between gigs are big energy drainers. This is where a good Virtual Assistant can make all the difference. You’re not committed to an “employee” but you now have someone who can make those calls, build that presentation, do the research and help you grow your business. From the beginning VA’s and independents have been a great match – practically made for each other. But many started to feel a pinch as VA rates began to increase. My advice – take a fresh look. Consider the real value of having a good V.A. who can take so much off your plate. It’s well worth it and still costs less than a traditional admin – full or part time. Here’s a very short guide to help you determine whether a V.A. is right for you. Managing email – Checking, responding, screening and organizing into folders that will save you time. Database/contact management– Keeping contact information up to date for use in marketing, mailings, etc. Social Media Marketing – Consistently posting relevant content about your business on your Social Media sites to keep your name in front of clients and potential clients. Developing documents, spreadsheets and presentations that you use regularly. What type of personality would be compatible with yours? Do you want someone to just take instructions and not ask a lot of questions? Do you want someone who asks important questions and makes suggestions based on professional experience and knowledge? Do you want someone with a lot of experience or someone who may be just starting out? Do you want someone with an energetic personality and good customer service skills? Do you want someone with good or excellent communication skills? What kinds of questions should you ask during the interview process to determine whether a VA can handle your business needs? Do you have experience in handling (specific task)? What services do you provide (and what services do you not provide)? What are your fees? Do you bill hourly, by project or on retainer? What are your hours (times & days) of operation? What about weekends? Do you have a team to support you? If so, will I be working directly with you or members of your team? Can I contact some of your current and past clients? Contact me, Becky Gregory, anytime and let’s talk about how I can help you focus on your business while I focus on you. 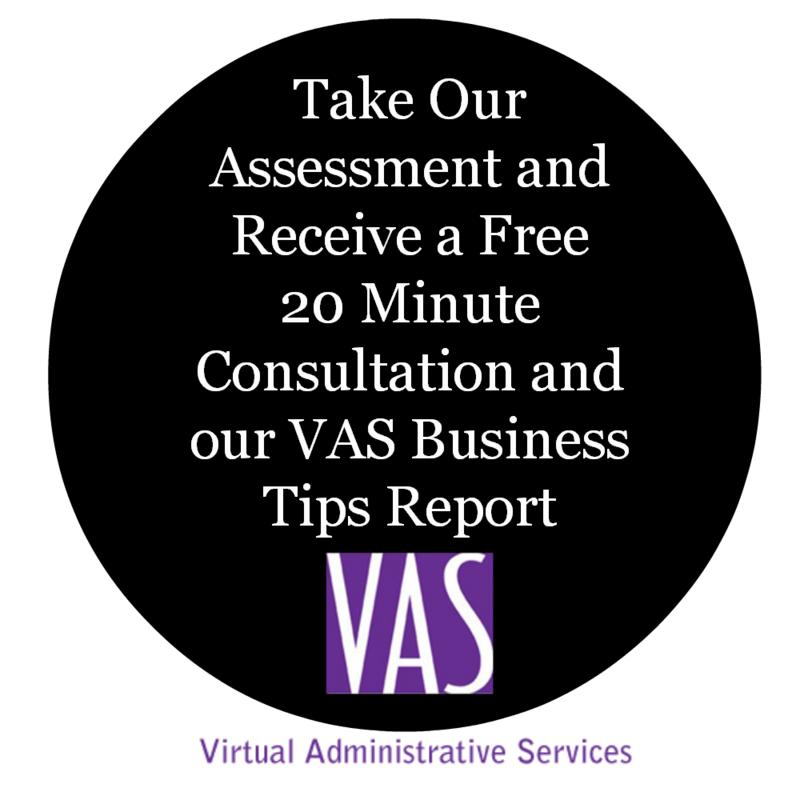 "My output completely increased once I made the decision to retain Becky & VAS on a monthly basis. Now, I have the freedom to concentrate on doing what I do best, including making sure my business is making a profit, while Becky makes sure every call is answered with enthusiasm, courtesy & respect if I’m not around. Plus, I love NOT having to do the things I don’t have a passion for like admin work. That’s Becky’s passion and she exceeds my expectations every time."